Greetings to all like-minded people in this area! 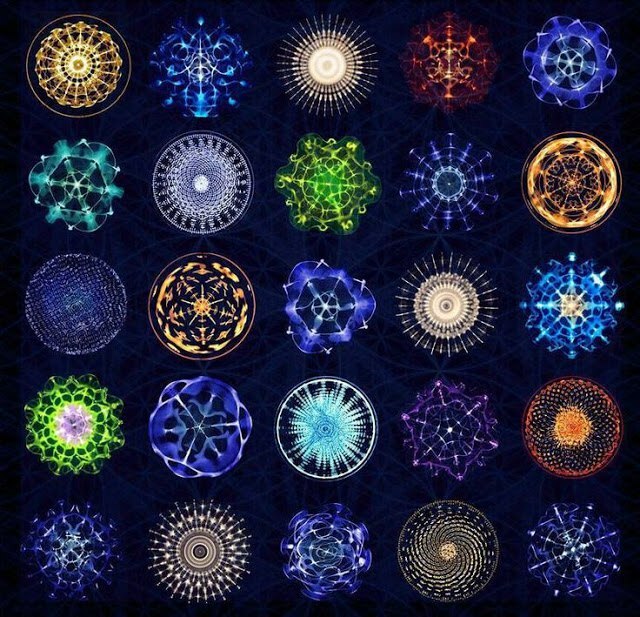 For decades I have been concerned with the subject of creating sound from fractal images. But unfortunately, experiments in this direction did not produce the desired results. The essence of this phenomenon is the visualization of sound vibrations in liquids, powders and liquid paste. I do not exclude that there are computer programs for simulating this phenomenon (I have not studied this question yet). This prompted the idea that if there is such a conversion of sound into a picture, then there should be an inverse transformation of the picture into sound. I did experiments on converting images into sound through FFT, like the one used in the Murzin's ANS synthesizer, but in this case such a solution is unacceptable. I will be glad to like-minded people and interesting ideas. This prompted the idea that if there is such a conversion of sound into a picture, then there should be an inverse transformation of the picture into sound. Only special functions have unique inverses. And not all pictures may be realizable from sound. But you might be able to construct a mesh-based physical model and see how it behaves, constrained by the light parts being fixed in place? Standing waves in 2D structures have been investigated for centuries. The circular membrane has an analystic solution in terms of Bessel functions. No matter what shape, the result will be a set of (inharmonic) eigen frequencies which you can auralize as bell of gong like tones. General shapes require a numerical solution, and as this is very important for structural engineering, codes and full programs to compute that kind of stuff (usually using Finite Element Modeling) are widely available. It's possible to transform a human to an image using a camera, but it's not generally possible to convert any image into a human. But you can have fun with face recognition/synthesis software by taking it outside it's domain of application, so your idea could work, but I think right now it's more an idea for an idea. I would try to interpret the fractal image as a some material structure (as per Claude's suggestion), then take that material object as sound generator using some simulation code. I don't see how that would make interesting sounds, but there may be a way if you're more creative than me. Have you ever seen the MATLAB logo and wondered what it is? Way back in my student days I was doing stuff like that and had computed the modes of various objects and inserted them in an interactive game-like graphics program where you could touch the objects to make their sounds. It featured an L-shaped coffee table. A bit later little me got a visit from the big Cleve Moler, the founder of MATLAB. Why? Turns out the L-shape is particularly difficult to compute accurately due to numerical issues of the wave equation at the 270 degrees corner, and this guy worked on that when he was young and never lost his obsession with that shape. To the extent that he put an L-membrane eigenmode on the MATLAB logo where it still is to this day. PS. You may wonder if each 2D membrane shape has a unique frequency spectrum. This turned out to be not the case but counterexamples were not found till I think the 1980-ies. You can find the reference somewhere. PPS. 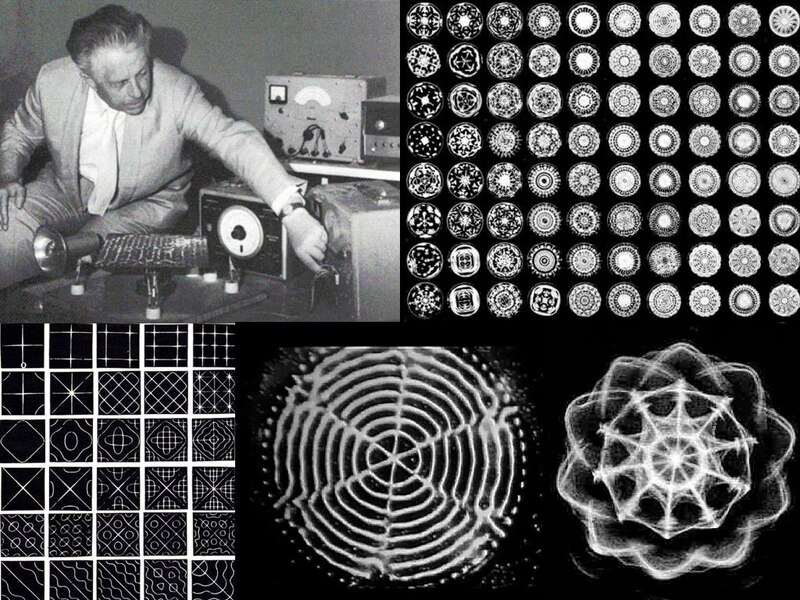 From each spectrum you can make an infinite number of sounds by summing them with different amplitudes. Some of them correspond to physical interactions like hitting the membrane/plate at some specific location. Do you have source codes to implement this idea? nly special functions have unique inverses. And not all pictures may be realizable from sound. But you might be able to construct a mesh-based physical model and see how it behaves, constrained by the light parts being fixed in place? In my opinion, it is possible in many cases to find an inverse transform having a direct, for example, Fourier transform. Long live the force of mathematics! I am not looking for easy ways and am willing to spend years for these studies. Sometimes very unusual ideas can be the basis for building a sound synthesizer based on them. One time ago, I researched one kind of modulation noise, which resulted in a virtual VSTi synthesizer Marazmator, that creating unusual sound forms. The subject of sounds strikes with the variety, it both sound space plots, and the natural phenomena, sounds of technical character (engines, mechanisms, the tool and тп), different voices, and sound objects which are simply not giving in to any description.